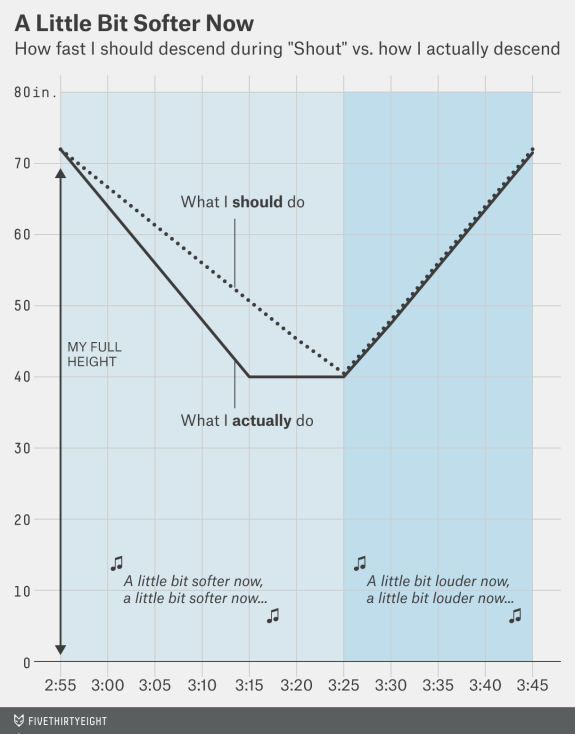 There are 17 repetitions of “a little bit softer now” in the song. Let’s say you want to be at your full height on the first and at your lowest on the last. You’ll need to drop 15 times. How much should you drop each time?